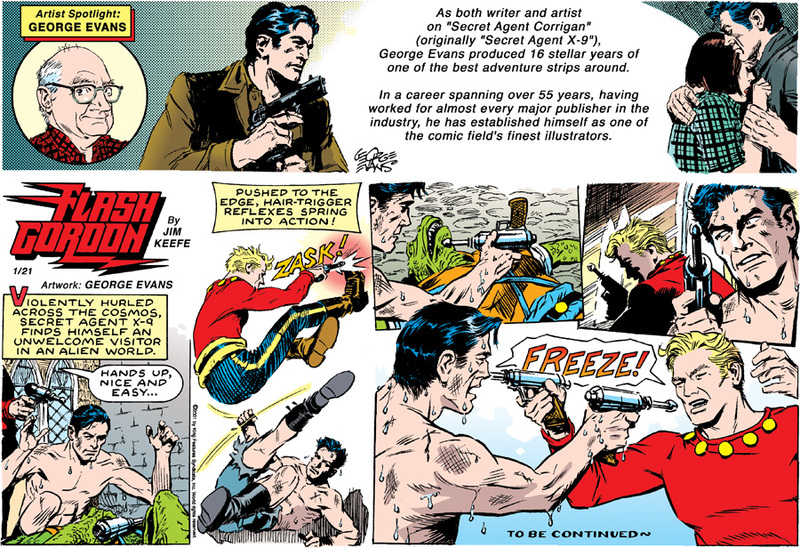 Taking over after Archie Goodwin and Al Williamson’s run, George Evans’ first daily for Secret Agent Corrigan hit newspapers on February 4, 1980. He had ghosted for Williamson occasionally, but now he was at the helm as writer and artist. Evans continued on the strip for the next sixteen years. I was first introduced to George Evans’ artistry while working on staff at King Features Syndicate. Ignorant of the huge body of work he had done, I was immediately drawn to the action-packed and beautifully illustrated job he was doing on the strip. Striking up a correspondance with him, he was more than willing to try to assist a newcomer like myself that was just breaking into the field. The following is a Flash Gordon Sunday page I sent George for critique with the latter being his suggestions on tracing paper. 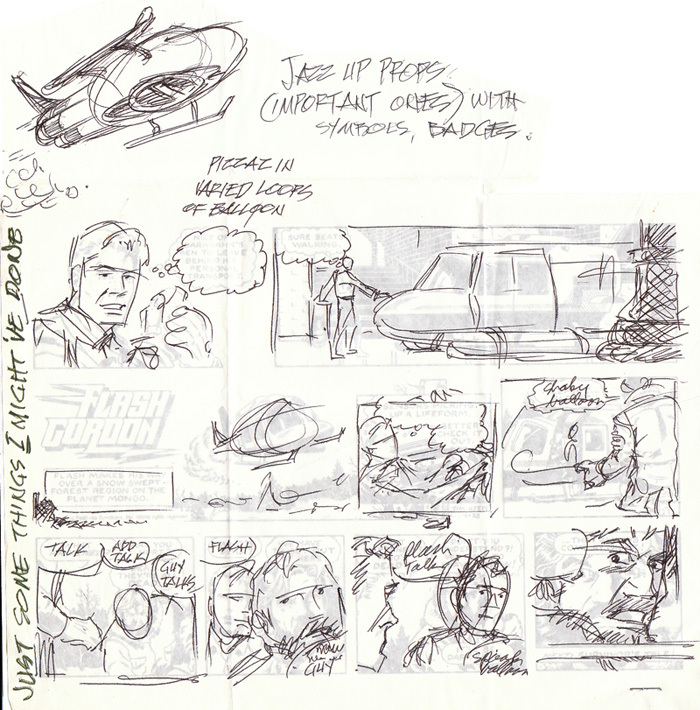 Upon Evans’ retirement from the strip in 1996, King Features discontinued the strip. The last daily saw print on February 10, 1996. It wouldn’t be the last time Evans drew Secret Agent. 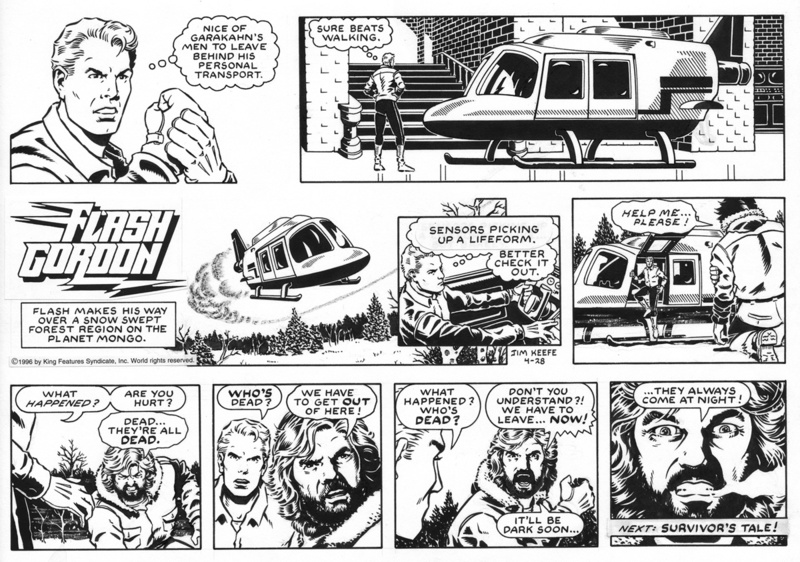 In the summer of 2000 I started a storyline where Secret Agent and Flash Gordon would eventually cross paths (the two strips both originally drawn by Alex Raymond). The climactic page where they meet I handed over to Evans. And here’s how it appeared in print. 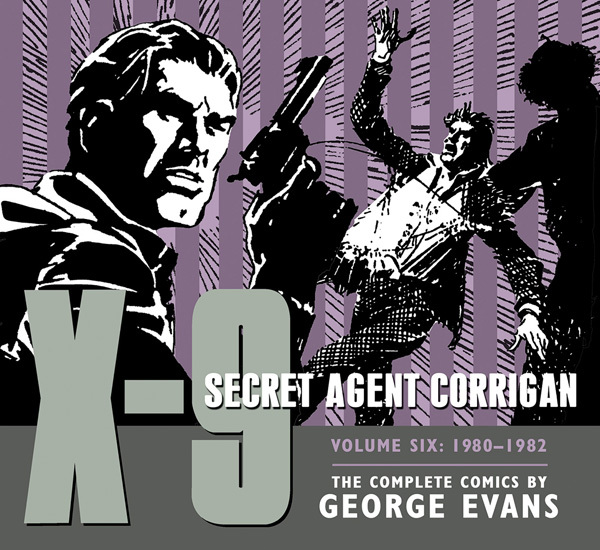 For more Secret Agent Corrigan by George Evans check out IDW’s Secret Agent Corrigan Volume 6. I highly recommend it! This entry was posted in George Evans and tagged George Evans, Secret Agent Corrigan. Bookmark the permalink.